I learned a smattering of Hebrew in third grade. Then I picked up a bit more later in life, when I explored the Holy Land. I picked cotton on a kibbutz by the Jordan River and then volunteered on the Ein Gedi Nature Reserve by the Dead Sea, the lowest place on earth. I have fond memories of drinking mint tea with an Israeli woman and a Palestinian man, as we sat outside in the desert wadi, watching ibexes scramble up the rocky cliffs. The friendship between Tali, Mahmoud, and me back then made me think peace between Israel and Palestine is possible. I’m boning up on basic Hebrew skills for my upcoming trip to Israel, where I hope to meet some of my online friends in the Israeli tech scene face-to-face. Watch videos of free Hebrew lessons led by real Hebrew teachers, or join an online course. 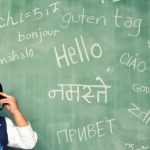 A good introductory series, though you’ll have to pay for an online teacher to go further, beyond alphabet drills, introductions, and other basics. Includes alphabet, word, and phrase lessons. There is a big focus on pronunciation. To give the right answer, you must record the Hebrew word into the microphone. Good for those who want to improve their Hebrew accent. It’s hard to get the pronunciation right – the words I got right were “shalom” and “ken” (yes and peace), so I suppose those could come in handy. Has 2000 of the most common Hebrew words. Good for vocabulary drills, though the user interface is a little clunky. You study sets of words in a category such as Weather or Travel, then you select them for your Word Bank and can take a quiz on the selected words. Would be more useful to me if phrases and dialogues were also here, so I could get more context for using the words. 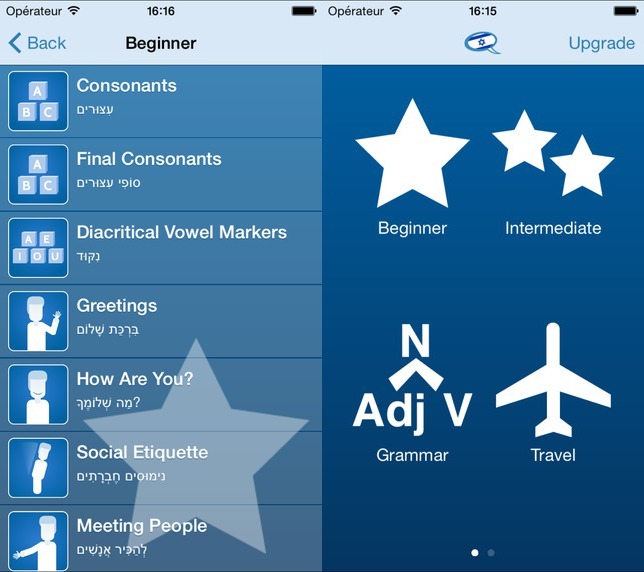 Decent free app to start learning Hebrew. 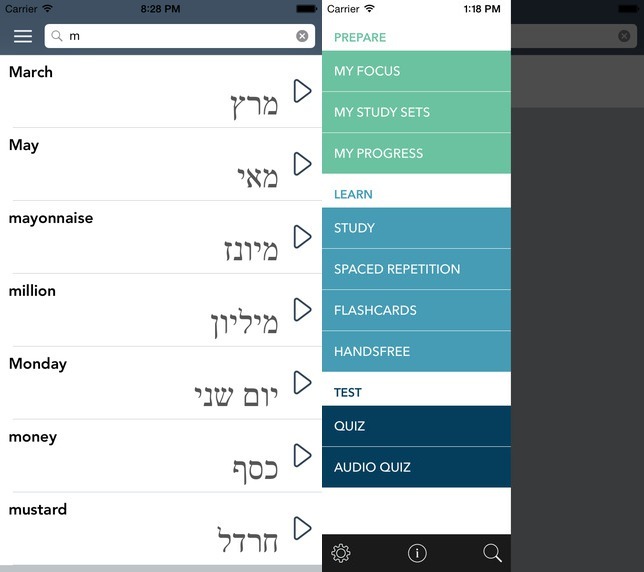 Flashcards with audio, English word and Hebrew word. A good start. 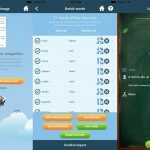 Includes a translation tool and quizzes. Really need the paid version if you’re serious. Warning: contains X-rated insults! I know you just wanna know the Hebrew word for ______. Also key flirting phrases. And basic essential categories such as Dining, Accomodation, Directions, and Shopping. You can translate from Hebrew to a variety of other languages. It has a variety of tools to learn from listening, writing, and reading. It also let’s you set your learning speed, there areplenty of good free options to start with before paying. However, the app has a bug which is yet to be fixed. Namely, after payment it begins freezing up in practice. Also the speaking checks could be more developed. The app is for a large audience, designed for students, travelers and also for business and medical professionals. 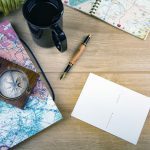 Contains more than 50 lessons based on common situations you might face such as flight or hotel reservation, eating out, shopping, sightseeing and meeting other tourists or local people.